Summer of 2015 was officially reported to be Earth’s hottest summer on record; however, if no action is taken to slow down global warming, large parts of the Middle East will be too hot for humans to live in by the year 2090, new research published in the scientific journal Nature Climate Change warns. Even though the research does not specify the exact impact on North African countries, including Egypt, it is worthy to note that the majority of Egyptian expatriates reside in the Gulf countries. In an interview to al-Watan, secretary-general of the union of Egyptians abroad Amin Ahmed Ali, estimated that among the 10 million Egyptians living abroad, 6.5 million of them are scattered across the Gulf countries – with a majority living in Saudi Arabia. Scientists previously believed it would be at least 200 years before the climate in countries around the Persian Gulf region would become unlivable for humans. But extreme heat waves – that now occur only once every 20 years – will become “the normal summer day”, Elfatih Eltahir, an engineering professor at the Massachusetts Institute of Technology and co-author of the study, told Bloomberg. Through computer simulations, the researchers recorded predictions of what the Gulf climate might look like during the last 30 years of the century. Assuming the production of greenhouse gasses continues at its current pace, the process of global warming is consequently anticipated to accelerate. The results found that before the end of the 21st century, standard temperatures in major cities in the region are expected to exceed 55 degrees Celsius and could reach as high as 60 degrees in Kuwait City. Places like Abu Dhabi, Dubai, Doha and Dhahran will see higher temperatures and humidity levels than anything previously recorded on Earth. Most of the Gulf countries’ economies are built on oil and gas industries, a primary cause of the greenhouse gasses that are responsible for global warming. But because those countries will also suffer the harshest consequences, it would be in their best interest to try and halt climate change, the authors write. the temperature hovered around 46 degrees, but an unfortunate combination of humidity and high temperatures made it feel like it was 76 degrees. In Egypt, at least 110 people died as temperatures soared to 46 degrees Celcius. 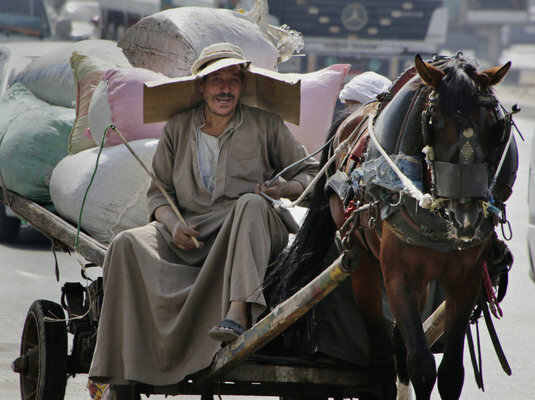 Why Do Egypt's Rulers Fear the Working Class? Is Alexandria's Governor to Blame for Deadly Floods?